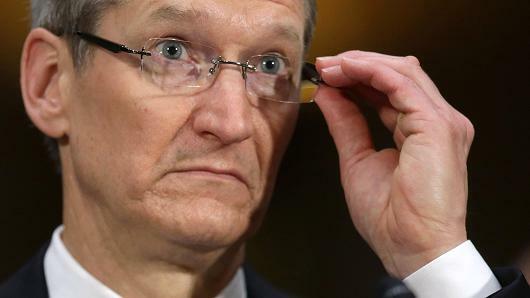 The official also responded to Cook’s analogy that creating new software to access the iPhone of San Bernardino shooter Syed Farook would be akin to creating the “software equivalent of cancer.” Cook’s argument is that new software designed just to eliminate the security features of Farook’s iPhone would inevitably be targeted by hackers and thieves and possibly escape into the control of hostile third parties. That doesn’t convince many officials in Washington. That private assessment by a government official differed from the public tone of FBI Director James Comey in testimony Thursday before the House Permanent Select Committee on Intelligence. In his public remarks, Comey went out of his way to praise Apple for its cooperation before the dispute went public last week. He declined an opening offered by a member of Congress to repeat government claims that Apple is acting out of concern for its business model. And Comey suggested he could see both sides of the issue, saying the dispute “is the hardest question I’ve seen in government” and emphasizing the need for conversation and negotiation.